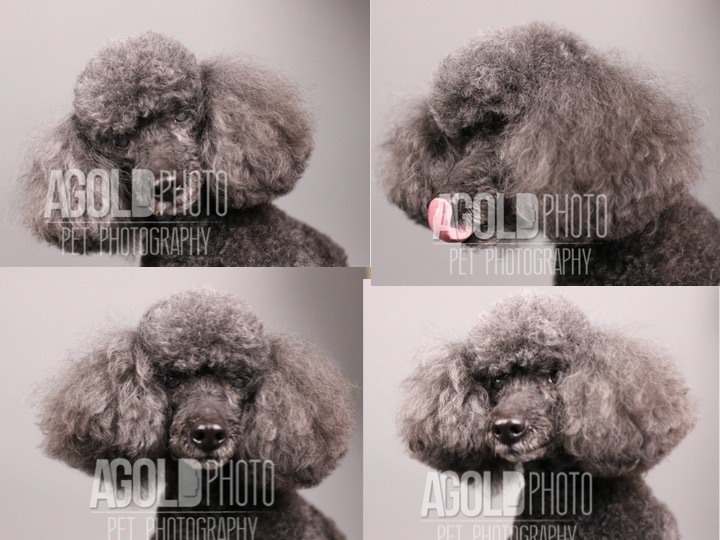 Last week we went to a photoshoot event by AGoldPhoto in support of the San Diego Humane Society. For Titus' photoshoot Adam kept throwing him cookies and giving him peanut butter, so Titus went into crazy dog mode! There were so many good photos, but here is what I selected as my Titus faves . I on the other paw, didn't need treats. I posed using Tyra's tips from Americas Next Top Model. I look so fab in all the pics that it is hard to select my fave. I narrowed it down to four..
Now we have to pic a fave of each of us. I can't decide! What do you think? Those are the ones my Mommy likes! Daddy likes others! OMP! We are doing it again, so we have to wait two months! I will tell you right after we find out! RosyPoodleKisses! OMC. So many great photos to choose from! We like the upper left for Titus. That's such a cute airplane ear. And his pink tongue is sticking out just the right amount. Also, he's looking right at the camera...probably waiting for the next flying cookie? For you, Princess Rosy, we like the light background because it shows off your beautiful fluffy ears the best. Also, it's hard to take good pictures of all-blacks doggies and in that one we can see both of your shiny sparkly eyes. You look very regal...all you need now is one of your lovely tiaras! What a great idea for a fundraiser! If you want to remember that Titus went "crazy dog" for the treats, the top-left photo is definitely the one! 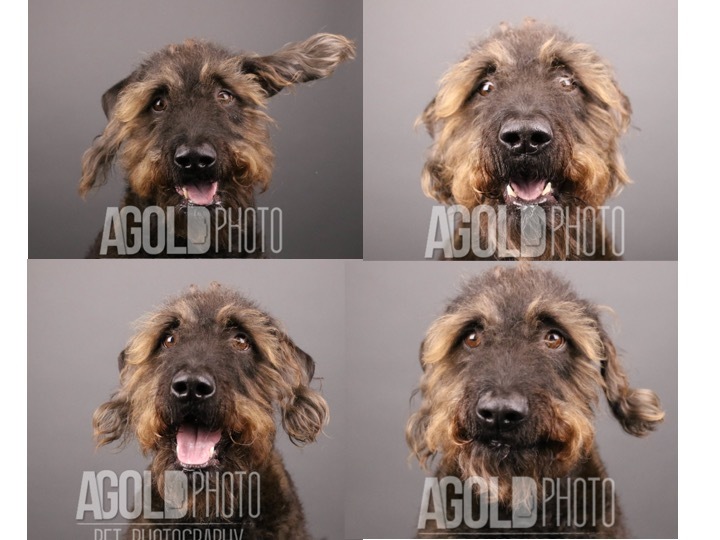 Your top-left photo has a cute head tilt, but the bottom-right photo shows your face a little better. That's a tough one. Whatever your Mom & Dad decide, they're all great photos. Thanks! I like Titus' top left too ! I can't decide on mine! The votes are about even! RosyPoodleKisses! How could I have possibly missed these great photos of Rosy and Titus....they are so cute,funny and Rosy looks beautiful with her full hair. What a nice photo memory to have of Rosy..Lots of Love, Lulu. We love these photos. Everyone adores the silly one of me with my ear flying! Yes, Mom loves having the ones of Rosy. They were taken a month before we lost her. She was still able to see a little bit. She saw lots of cookie crumbs on the floor of the shoot! TitusSMOOCHES!